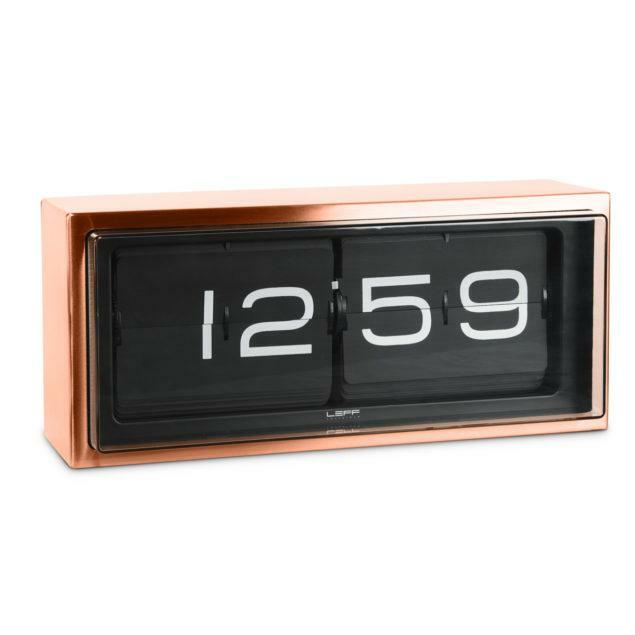 Brick Clock – Stainless Steel/Copper. The Brick is a contemporary interpretation of a traditional way of displaying time. Reinvented by using a unique combination of graphics and materials, avoiding it to be subjected to a certain time period. The stainless steel case is welded and brushed by hand which brings this clock to a high level of craftsmanship. 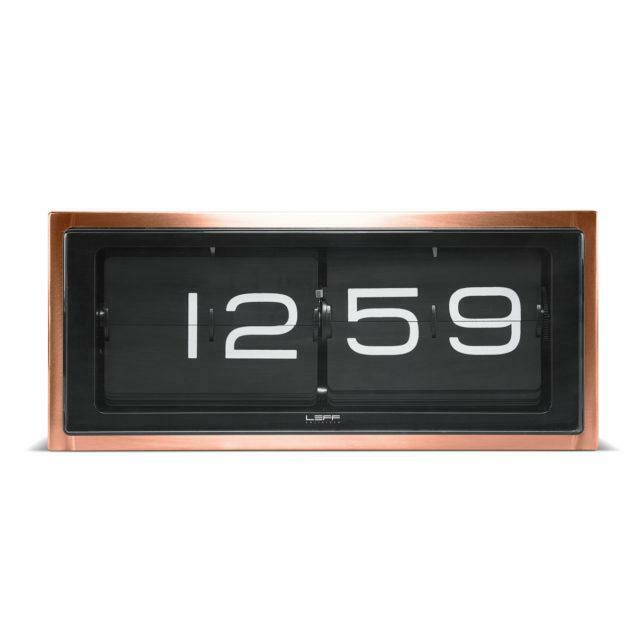 This timepiece can be displayed on a surface or hung on the wall, either way it will draw the attention of the spectators. 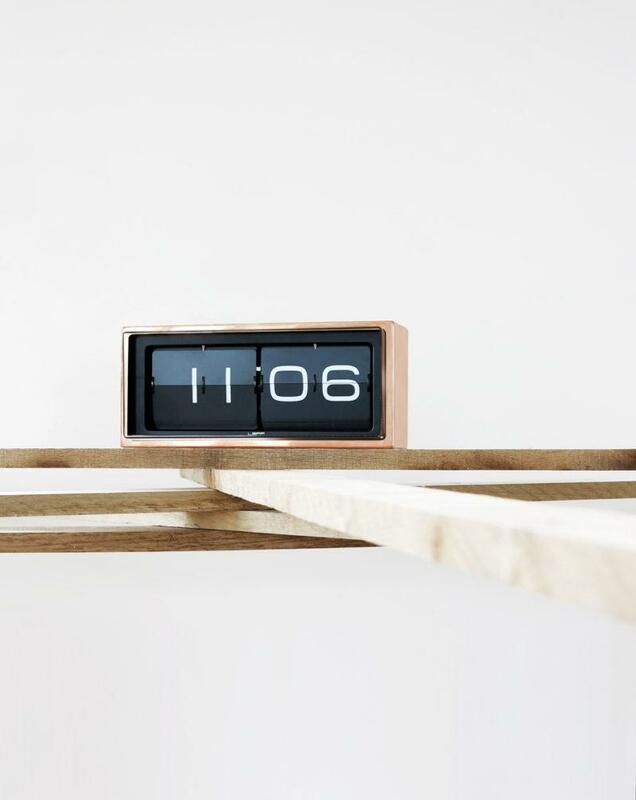 Comes with a 5 year Warranty from Leff Amsterdam.